You did a couple of Reed Winter Externships last year. Could you tell us what, if any, role they played in your getting your summer internship this year? I knew I wanted to work in a lab this summer, but it was difficult to write intelligently about why I wanted to work in a lab and do biomedical research without any experience in a lab. It's always hard to break into the world of science with your first research experience, as they are so competitive. My externship at NIAID with Dr. Kottilil was a stepping stone to my first research experience. Having that experience under my belt really gave me something to draw upon while writing my application essays for summer internships and I was able to show that I was confident that I wanted to do research and that I knew what it was all about. In my essays I talked about how interesting I found the research that I had observed and how I really wanted to be a part of it. I also shadowed Dr. Smirnow, a Reed alumnus, during winter break. He's a pathologist, but he also arranged for me to shadow other doctors of various specialties at the hospital where he works. This experience really confirmed for me that I do want to be a doctor. I've been leaning towards becoming a surgeon, so after sitting in on two surgeries and loving them I was again reassured that it's something I do want to pursue. Do you work with other students in the lab? And, did you feel as though your time at Reed in labs prepared you well for your summer? There are about 40 summer interns in my program, but I'm the only intern in my lab. 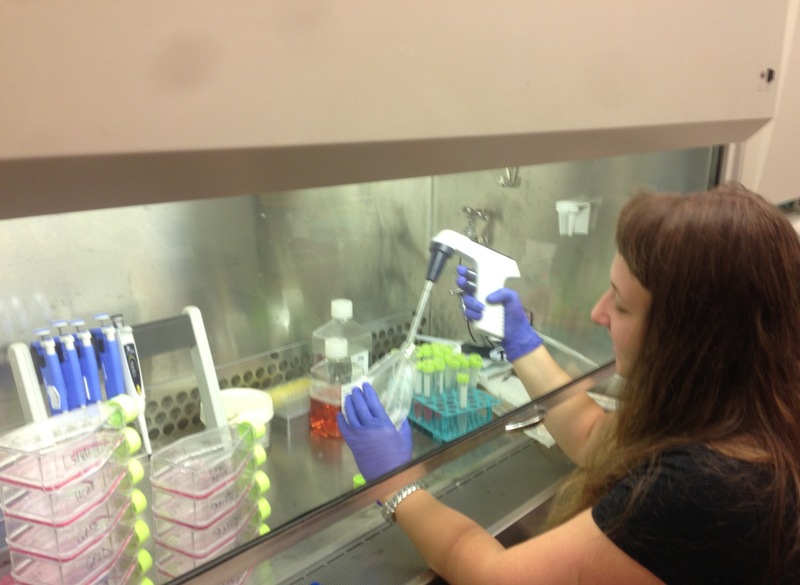 However, there are other students in labs that work in conjunction with my lab, and I often work beside them. Many of them have had other research experiences, but I don't really feel behind as far as technical knowledge. Most of the techniques I use in my project I've used in lab during my Reed science classes (western blotting and cell culturing mainly). In fact, my internship project is pretty much an extended version of my independent project from Cell Bio. Basically I am treating cancer cells with a drug and seeing how many cells it kills, and then trying to figure out the mechanism. Therefore, I was quite prepared to work in the lab, and although there are variations and new techniques I've had to pick up, it's all gone smoothly. How does your internship compare to what you thought it might be? I didn't really know what to expect going in to my internship since I'd never worked in a lab before. I didn't know who I'd be working with or how much of my PI (principle investigator) or fellow interns I would see, or how much independence I would have in the lab. I had discussed my project a little bit via email with my PI before beginning, and I read some relevant papers on the subject to prepare. On my first day I found out that I'd mostly be working with a PRA (professional research assistant), a college graduate a few years older than me who's about to start grad school. She's really fun and nice and was a great teacher. 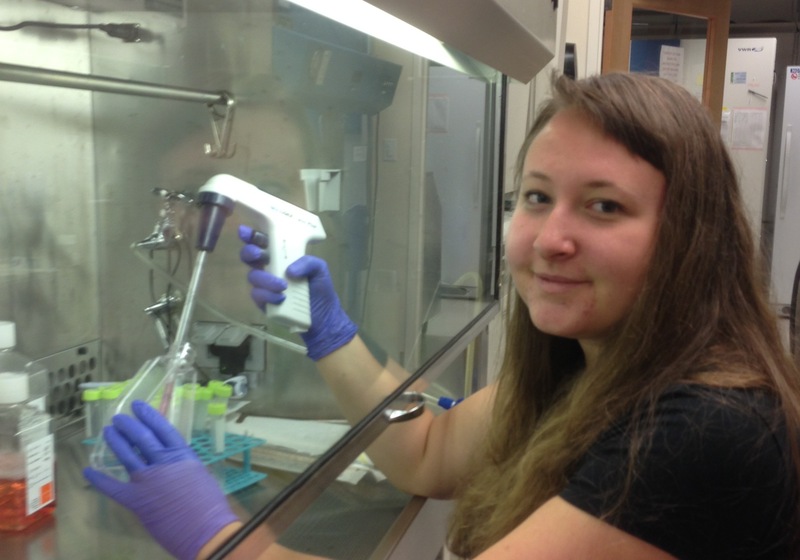 She spent the first 2 weeks showing me around the lab and teaching me to perform the assays I would use in my project. After that she let me do my own thing but is always there if I have a question (which I often do). Also in my lab are two fellows, both MDs. I've been able to talk to both of them about their career journey, and that's been very informative. I only see my PI about once every two weeks during lab meetings, which is apparently normal. I kind of have two PIs, as they co-run the lab, and I've been working much more closely with my unofficial PI who I see almost every day and who I talk to quite often about my project. And, do you have any specific goals for your internship? In terms of goals, I wanted to make some good connections and possibly get published, as getting your name on a paper is really important if you want to pursue science. I think I've made a good connection with my PIs (especially good because I'm definitely looking at CU for med school), and they said I'll most likely get my name on the paper I'm doing work on. Additionally, I've been going back and forth about whether to pursue research or medicine for a while, and I was hoping that I'd have some clarity on the subject after this experience. Although I've really enjoyed my internship and I think it would be great to maybe do some research before going on to med school or perhaps on the side as a doctor, I'm pretty sure now that I want to pursue an MD.